By Glenn Rabney | January 29, 2018 On Saturday, January 20th, White House press secretary Hogan Gidley, while appearing on “Fox & Friends,” said, “Look, you guys are sitting with a former TV Superman in Dean Cain. I'm working for a real-life Superman over my shoulder in Donald Trump.” While the White House might believe that the president is a real-life Superman, based on almost everything Trump has said since he started his campaign for the presidency, I have a suspicion that he’s not actually a big fan of the superhero. In fact, Superman is a poster boy for everything that Trump appears to find wrong with modern-day America. 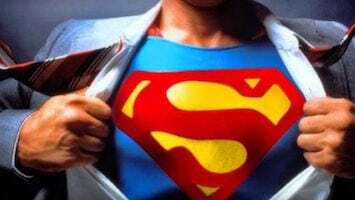 To most of us, Superman represents all that is good, a champion for truth, justice and most importantly, the American Way. He grew up in Kansas, which is pretty much as American as it gets, fought the Nazi’s during World War II, and symbolized America as the world’s peacekeeper in the 50s and 60s. Like most Americans, he went through a period of self-reflection in 80s and ever since has been constantly redefining himself, but always with that almost aw-shucks, just doing my job modesty, trying to avoid excessive praise and glory. He was the epitome of the American World War II veteran. He helped saved the world and then came home and didn’t like to talk about it. He just did what needed to be done. But in an increasingly anti-immigrant and anti-science America and White House, Superman is the embodiment of everything President Trump could never be and everything he detests, starting off with Superman's origins. Kal-El was the son of Jor-El, a prominent scientist and respected political leader, who tried to warn his world about the environmental danger being done to Krypton. When he realized that it was too late to save the planet, he and his wife, Lara, neither of whom spoke English, decided to give their infant son a better future and rocketed him to Earth, just before their planet exploded. Through no action of his own, Kal-El found himself in the American heartland, being raised by Jonathan and Martha Kent. Despite his immigrant origins, he became the all-American boy. Sure, he might have had blueish hair. But otherwise, he was white, Christian, spoke English, probably was a boy scout, and most definitely was the first DACA DREAMer. Like most DREAMers, young Clark Kent could never apply for citizenship because he knew he’d never be able to entirely explain the circumstances behind his being in America. Upon college graduation, possibly with the help of government student loans, he headed off to Metropolis where he took a job for a newspaper. Although some today might say he wrote fake news, he always seemed to be an honorable reporter looking for the news that citizens needed to hear. Undoubtedly, he used a fake ID in order to get the job and has been paying into Social Security ever since, even though he knows he’ll never be able to qualify for any of its benefits. His place in America also brought more immigrants into the country. When his cousin, Kara, often referred to as Supergirl, and also from Krypton, came to the United States, she used her relationship with Superman in order stay in the country. Her rationale? Family reunification, or as Trump calls it, “chain migration”, since the authorities believed that Clark was actually a legal citizen. Superman eventually one ups himself and has an “anchor baby” to guarantee he can stay in America forever. Superman used to represent the best of America: honesty, integrity, sacrifice. But now, he’d be easy to critique. It’d be easy for Trump to rail against Superman, pointing out that his being allowed to stay here is taking jobs away from real American superheroes such as Captain America and that every time Superman battles some evil foe he winds up destroying buildings. And then there are all those benefits that U.S. taxpayers are providing to Superman, such as a public school education for his son and police, fire and health services to him and his family. There are those who say that Superman presents the rest of the world with a favorable impression of what America stands for. But using President Trump’s logic, how can an immigrant do that? Besides, the symbol of America shouldn’t be some goody two shoes who helps those less fortunate, always does the right thing, and never proclaims just how great he is. No, if you asked Trump, he'll gladly tell you that as president and a real American, he should be the symbol of America with his tough guy tweets. Not some guy with weird colored hair that doesn’t even move in the wind.